It’s hard out there for a Liz fan. The secret’s finally out, my favorite couple is totally tanked, and the ritual town stoning is well on its way. I don’t have much energy for more than a recap, so here we go: Alexis is meeting Julian for lunch at the Floating Rib. She hints she’d also be interested in an afternoon quickie, but sadly, he’s already got plans to go tank his magazine. Speaking of which, the new and improved Nina — who looks exactly the same, except she’s no longer swanning around the office in that Elvira evening gown — is at Crimson, gushing over the pictures Dillon took of her. Because Dillon, in addition to being a mediocre screenwriter and aspiring indie director, is now apparently a professional photographer? Look, I don’t know. Just go with it. Bill and Luke’s excellent history lesson. Welp. Those five seconds it looked like maybe this latest incarnation of Johnny Zacchara wouldn’t be a gigantic failboat sure didn’t last long. It’s a little ironic that one of the only characters I consistently liked during the Guza era is one of the ones I’ve hated most during the Carlivati era, but here we are. NO DICE. HIS TEARS GIVE ME LIFE. Schadenfreude makes the heart grow fonder. You know, I want to say I’ve missed Johnny, but it’s hard to miss someone when you’re busy repressing large portions of the year or so before he left. So long, and thanks for all the smoldering. 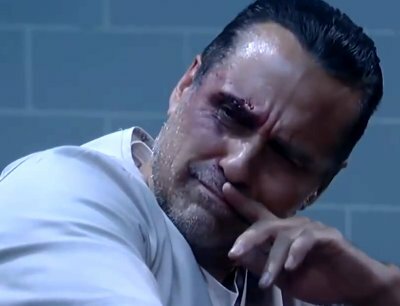 Despite the fact that it was a transparent set up for the apparently inevitable Sonny/Olivia revisit we’re about to get — and I’m stabbing myself in the eyes in advance, believe me — I can’t complain about Johnny’s actual last scenes being with Olivia. OLIVIA: What is your problem? JOHNNY: [finally losing his cool] I don’t want to see you get hurt! OLIVIA: [quietly] I’m fine… Thank you. I should go. JOHNNY: Let me know what happens with Morgan, huh? OLIVIA: I will. Hey, um… I’m sorry for accusing you of setting Sonny up. JOHNNY: We both know it’s not outside the realm of possibility. OLIVIA: You’re a good person deep down. I know that. JOHNNY: Thanks for believing that. OLIVIA: Hey, if you need anything in here, I want to hear about it, okay? Who knows, maybe I’ll even come back for a visit. OLIVIA: [teary] You take care of yourself, okay? I don’t need any more bad news. Where’s Felix when you need him? 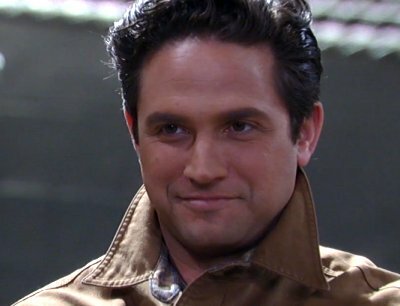 Seriously, though, that was a short lived period of me not hating Nik’s guts and enjoying the Liz/Nik revisit, huh? This Nik — the entitled, condescending, pushy Nik? — is pretty much my least favorite parts of the character condensed into one super potent package of assiness. ELIZABETH: My reaction had more to do with me than AJ. I feel bad about our affair. Nikolas, I still feel incredibly guilty. NIKOLAS: Whatever feelings you have about our past, it doesn’t excuse AJ. He’s acting like a jealous idiot who’s trying to claim you like you’re his property! But… but, who will we hate now? 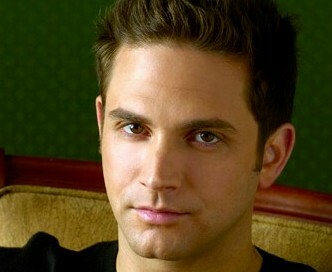 I’m sad to hear the news that Brandon Barash will be leaving GH. I had been hoping now that Johnny seemed have to hit rock bottom the new regime would be able to do some rehabilitation. *sigh* And I admit, now that Steve is leaving, I had let my heart hope that he and Olivia would be able to somehow get back to their hotness. But alas, no. Davis girls sure do love their felons! 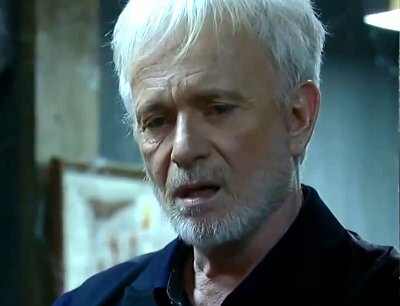 Folks, here’s another one to be filed under Sentences I Never I’d Type About General Hospital: there is just so much going on with the love lives of the over 50 crowd that I haven’t had time to say anything about Port Charles’ new teen scene. And by “teen scene,” I mean the one triangle we’ve got brewing between Molly “I talk only in literary references” Lansing, TJ “Please forget that whole illiteracy plot line” Ashford, and Rafe “My real dad’s a vampire” Kovich. his old man cardigan in this scene. Secrets, secrets everywhere! If only I could bring myself to care! Seriously, I know I should be enjoying Todd’s chickens coming home to roost, but the fact that so many of his recent decisions have felt so out of character makes it kind of hard. STARR: I feel so sorry for Trey. My dad may be crazy, but at least he always put me first. That was supposed to be the big “ouch” irony moment, but the thing is? She’s right. Todd may be a lot of things, but Lord, does he love Starr. And he loved Hope too. And I’ve never believed that he wouldn’t have thrown himself to the wolves for either of them in a heartbeat.